Anakpawis Partylist strongly condemns the illegal arrest of Anakpawis Rep. Fernando Hicap and other peasant leaders and land reform advocates in Hacienda Luisita. “We demand the immediate release of Rep. Hicap and others who were arrested,” said Anakpawis President Rafael V. Mariano. Hicap is attending a fact-finding mission in Hacienda Luisita in Tarlac on the ‘lottery land reform’ conducted by the Department of Agrarian (DAR). The mission was initiated by the Unyon ng Manggagawa sa Agrikultura (UMA) and Alyansa ng Magbubukid sa Asyenda Luisita (AMBALA). Among those arrested were Danilo Ramos of Anakpawis Partylist, Florida “Pong” Sibayan acting chairperson of AMBALA, Sister Patricia Fox, Ericson Acosta, Kerima Acosta, Rene Blazan, Kala San Juan, Ronald Matthew Gustillo, Luz Versola and many others. They were charged with malicious mischief, illegal assembly, direct assault and trespassing. At around 11:45 this morning, Hicap and his colleagues just came from a dialogue with the Philippine Army at Barangay Balete when members of Tarlac PNP arrested them. They are now being held at the Tarlac City Police Station under the command of deputy chief Jovy Pagarigan. Land reform advocates from various sectors are in Hacienda Luisita to investigate the fraud, harassmentand landgrabbing reported by farmworker beneficiaries that highlighted DAR’s distribution of Lot Allocation Certificates (LAC) in all of Hacienda Luisita’s10 villages from July 18 to August 21. “DAR executed this sham landreform under the heavy presence of police and military and coerced farmworker beneficiaries to sign promissory notes or the Application to Purchase and Farmers’ Undertaking (APFU). All these happened under a climate of impunity and injustice and without real intent to distribute Luisita lands,” said Mariano. “Through the ‘showcase’ lot allocation scheme, DAR coerced farmer-beneficiaries to take part in the tambiolo land reform raffle and sign the APFU that manifests willingness of farmer-beneficiaries to pay the amortization and real estate taxes of the landsand desist from committing so-called prohibited acts,” Mariano said. In February 2013, 40-year old poet and Amnesty International activist Ericson Acosta has more reason to celebrate other than his freedom from his unjust detention. A few days after the Philippine Justice Department decided to drop the trumped-up charges against him, Ericson witnessed the awarding of a silver medal to his only son, 10-year old Emmanuel, who won in a division-wide Math competition in Pasig City, Metro Manila. Arrested by military troops in February 2011, Acosta was interrogated for 44 hours on 2 hours sleep and threatened with death. He was then charged with being a member of the once banned Communist Party and later, with the illegal possession of explosives. In August 2011, Amnesty International called for the release of Acosta as a Prisoner of Conscience. In his statement after being released, Acosta thanked his supporters, including Amnesty International, and called for the release of the rest of political prisoners in the Philippines. 430 political prisoners continue to be imprisoned under false accusations of committing various criminal acts. In December 2012 alone, 28 civilians were arbitrarily arrested by the military on trumped up criminal charges. When running for President, Benigno Aquino ran on a platform of upholding human rights. His party said that “human rights are a powerful weapon for social transformation”. With the upcoming Senatorial elections in May, Aquino, his party and his government must remember their election promises and continue to uphold human rights. Nerve Macaspac, Amnesty International USA Country Specialist for the Philippines, contributed to this post. MANILA, Philippines — A human rights group yesterday urged the Aquino government to release sick and old political prisoners including those who are jailed at the New Bilibid Prison (NBP) in Muntinlupa. The Samahan ng Ex-Detainees Laban sa Detensyon at Aresto (SELDA) said 45 of the 430 political prisoners detained in various jails in the country are sick and old and should be released for humanitarian reasons. The group said about 30 political prisoners are serving their sentence at the NBP and 11 of them are sickly and one is aged over 60. “Most of the time, sick political prisoners are not given the proper medical attention because of the lack of facilities in prison hospitals and lack of budget to provide health services to prisoners,” said SELDA Secretary General Angie Ipong in a statement. 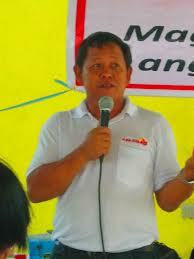 Ipong cited Rolando Pañamogan, 47, who is suffering from illnesses usually associated with old age. She said Pañamogan has been admitted to the NBP hospital for a number of times due to diabetes, hyperthyroidism and asthma. She also said the Alegre family should be freed. The family–father Jesus, mother Moreta and son Selman–were imprisoned due to a land dispute in Negros Occidental. Jesus, 67, and Moreta, 65 are suffering from arthritis and hypertension, SELDA said. Jesus and Selman are serving their sentence at the NBP while Moreta is at the Correctional Institute for Women. They have been in prison for eight years. SELDA hoped that Pañamogan, the Alegre family and other political prisoners be released. Following the release from detention of poet-artist Ericson Acosta on Tuesday, rights group SELDA (Samahan ng Ex-Detainees Laban sa Detensyon at Aresto) demanded the Aquino government to free elderly and sick political prisoners. “We welcome the release of Acosta, finally, after two years of detention. What remains true is that no person should be held in detention, charged with trumped-up cases, and stripped of his rights because of his political beliefs. We then demand the release of all sick and elderly political prisoners,” said SELDA secretary general Angie Ipong. According to Ipong, sick and elderly political prisoners have double the reason to demand for freedom. “Most of the time, sick political prisoners are not given the proper medical attention because of the lack of facilities in prison hospitals and lack of budget to provide health services to prisoners. To a certain extent, their being political prisoners is even used as flimsy excuse to be deprived of medical treatment,” Ipong said. As for the elderly political prisoners, Ipong said there should be no question as to their release on humanitarian grounds. Ipong, a political prisoner herself, was arrested at the age of 60. She was released six years after charges of murder against her were dismissed. SELDA said there are currently 430 political prisoners in different jails nationwide, 148 of them were arrested and detained under the Aquino administration. The group documented some 45 political prisoners who are sick, while 12 of them are elderly prisoners, or those who are aged 60 and above. “Cramped and poorly ventilated prison cells, poor water supply and inadequate food and nutrition worsen the state of health of political prisoners who suffer from various ailments. 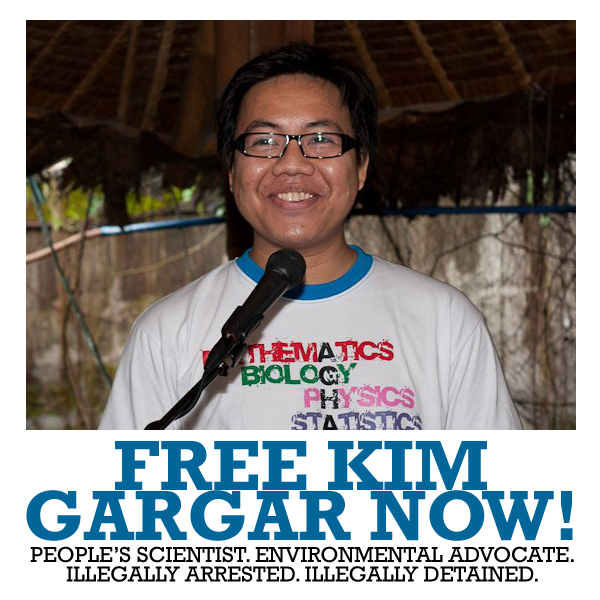 This, along with the fact they shouldn’t be detained because of their political beliefs, are more than enough grounds for their immediate release,” Ipong said. 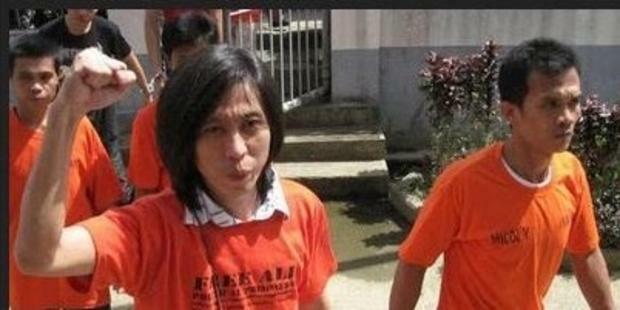 Ipong cited the case Rolando Pañamogan, is only 47 but is now suffering from illnesses usually associated with old age. Pañamogan has been admitted to the NBP Hospital for a number of times. “Doctors diagnosed him to have diabetes, hyperthyroidism and asthma. He manages to persist in his work as a political prisoner everyday but the truth remains that his medical condition is aggravated by prison conditions,” Ipong said. Pañamogan is detained at the New Bilibid Prisons Maximum Security Compound was accused of being a member of the New People’s Army and was convicted of murder and frustrated murder. Aside from Pañamogan, the Alegre family also hopes to be freed for humanitarian reasons. All three, father, mother and son, were imprisoned due to a land dispute with a local landlord in their town in Negros Occidental. Jesus, 67 and Moreta, 65 are both suffering from arthritis and hypertension. Moreta also has a weak heart. “We are made to suffer for sins we did not commit. It’s because we don’t have money and power. We just want to live in tilling our small land. We want justice,” Jesus said in an interview. Father Jesus and son, Selman, are at the New Bilibid Prisons. Mother Moreta is at the Correctional Institute for Women. They are all imprisoned for eight years now. SELDA hoped that Pañamogan, the Alegre family and other political prisoners shall also be given their well-deserved freedom.